Shane Shirley : Green Is Universal Giveaway - Win a $100 NBCUniversal Gift Card in Honor of Green Week! Green Is Universal Giveaway - Win a $100 NBCUniversal Gift Card in Honor of Green Week! NBCUniversal kicks off Green Week! 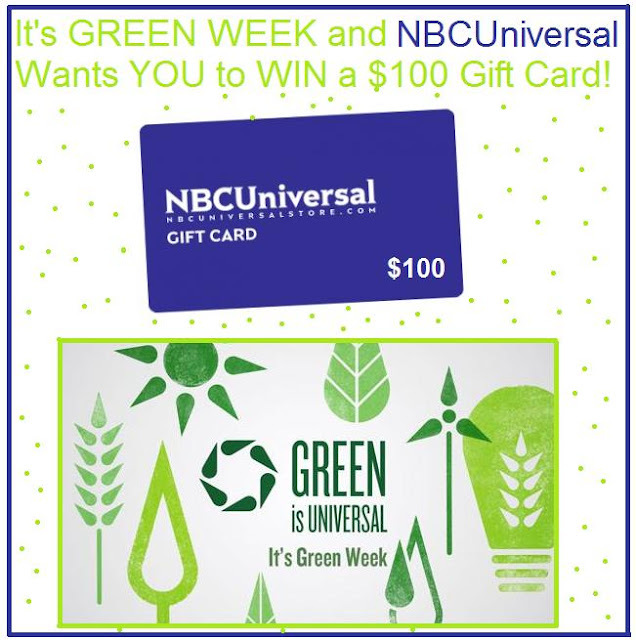 This past Sunday kicked-off Green Week at NBCUniversal and they want YOU to tune in, take part and enter to win a $100 NBCUniversal gift card in the Green Is Universal Giveaway! From installing sustainable bamboo flooring and finding ways to save energy through product innovation and distribution to educating consumers through environmentally friendly themed programing, NBCUniversal is walking with us on the path to a greener tomorrow. NBCUniversal wants YOU to know that "You Don't Have to Do a Lot, to Do a Lot" and they want YOU to be a part of Green Week! Aside from offering you a chance to win a $100 NBCUniversal gift card, they want to get the recycling message out that Mugs Save Trees. In fact, they are asking you to take a personal pledge to help save trees and use a reusable mug. People are even posting pictures of themselves with their reusable mugs in the Show Us Your Mug Sweepstakes. It's pretty cool to see so many people going green! 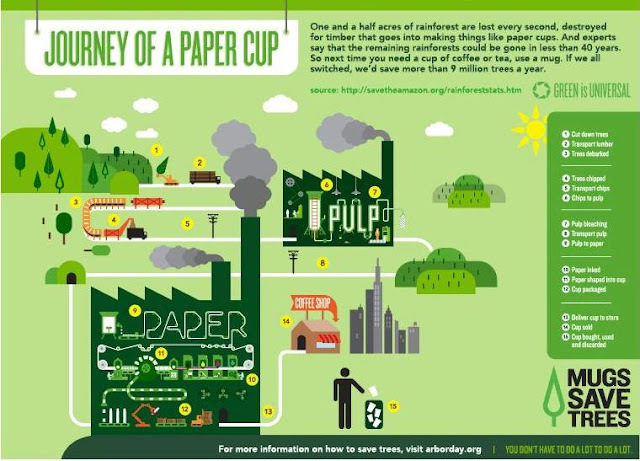 NBCUniversal wants you to know that Mugs Save Trees! NBCUniversal wants to hear how you Pay Green Forward in YOUR life for a chance to win a $100 NBCUniversal gift card! I think it's totally cool that NBCUniversal is working so hard to go green and is asking us to take part in recycling and going green with them. Green truly is universal and each of us every single day can, and do, work in little and not so little ways to live green don't we? I try to set a good example for my girls by recycling everything I possibly can and it is so rewarding to see them sharing that green message with their friends. One of my daughter's friends actually collected scrap paper from her friends at school and brought it to our house to toss in the recycling bin. You don't have to do a lot, to do a lot right?